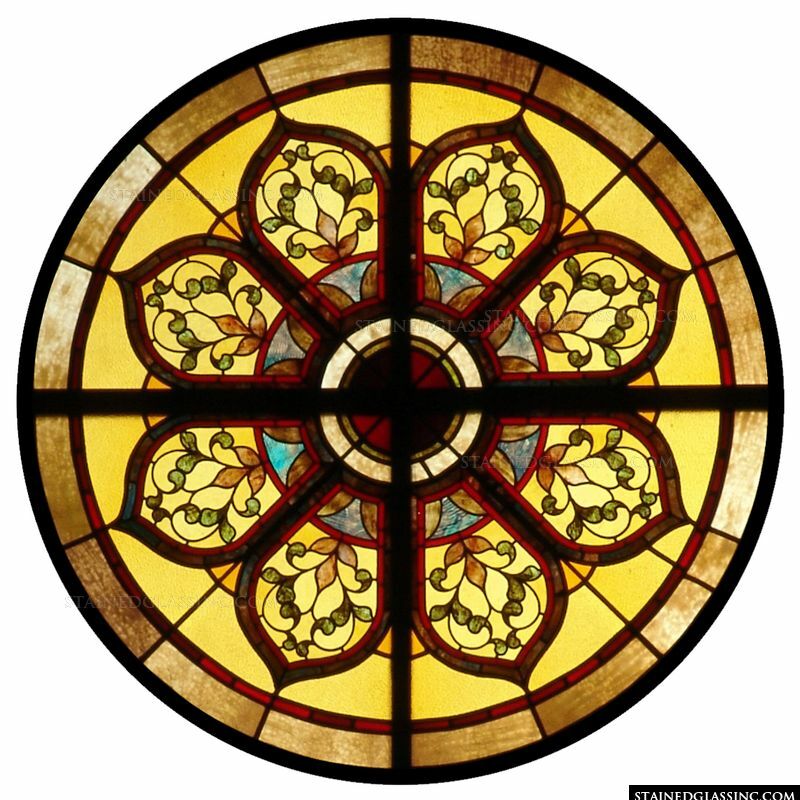 This stained glass dome design would look great in your office building. Another ideal place to add a stained glass dome is in an office space. Large or small, an office space could benefit from more natural light that is streamed in through a stunning stained glass dome. Here’s how natural light from a stained glass dome can help an office plus how it can be easily added through many stained glass dome options now available. Many research studies have been done on the effects of natural light on people, including those working in offices to determine if it is truly beneficial. A study by the Heschong Mahone Group in Sacramento, California involved 20,000 students in California, Colorado, and Massachusetts in 1998 and 2002. They found that standardized test scores were as much as 26 percent higher for students that had taken classes and tests in buildings that were illuminated primarily by natural lighting compared with those that relied mainly on artificial light. Another study at a Colorado software company, conducted by the Lighting Research Center, found that programmers in offices that had natural light were working more than those in offices without natural light sources. While some may claim that natural light from windows can cause distraction, other studies find that the light actually promotes productivity like it did for these programmers. Of course, it also has an environmental component that includes reducing energy consumption, so your office is doing the responsible thing by adding more natural light sources. If there is an existing skylight in your office, we can simply create a stained glass dome that is installed over that skylight. That way the natural light can continue to flood into your space while you have created an artistic focal point to the space. A light box can be added to emulate natural light, which can still help the office feel bright and airy to help employees stay productive. You can use an existing skylight plus add a light box, which can add more light both day and night to the office. Stained Glass Inc. has a wide range of high-quality stained glass dome designs to choose from or you can submit your own stained glass dome design idea. Each stained glass dome is custom made to fit your space and easy to size and install because of its modular design. The stained glass is lead free for greater safety and is made from polymers that offer strength and durability. The rich mineral pigments that go into making the brilliant color also create hues that maintain that color for years to come. The team of stained glass artists has created some incredible stained glass domes for companies and organizations all over the world and will put the same detail and craftsmanship into your office stained glass dome. To view a catalogue of existing stained glass designs, get more information, and/or get a free estimate for a stained glass dome for your office, please fill out our contact form or call our team of stained glass specialists at 903-454-8376.